When we refer to enabling Infrastructure, we refer to connectivity – both access and digital. There are serious public policy roadblocks to getting infrastructure funded, approved and rolled out in a timely manner. Rolling out the NBN into tourism regions is happening slower than anticipated, and activation is plagued with teething issues. Regional tourism is constrained by these issues, being unable to effectively market and communicate with customers and business partners. Air traffic into Sydney airport is becoming constrained and this is constraining international market growth. Concurrently we need to work on aviation attraction. To capitalise on the significant international and domestic growth in cruise tourism, the Sydney Cruise Port needs capacity enhancement and a number of regional ports are in need of further development. There are some key tourism roads in need of upgrading or sealing, in order to grow the drive market. Visitor economy impacts are often given a low weighting in transport agencies’ priority-setting and more work needs to be done on building robust tourism data into evaluations. Enabling infrastructure is critical to helping regional areas become more efficient, competitive and attractive. We need to be proactive in supporting targeted, justified enabling infrastructure improvements. The potential return on investment in enabling infrastructure is significant. STO’s, RTO’s and ART need to work together to input into the rollout of enabling infrastructure that improves digital rollout and connectivity. We need to design tourism interests into the consideration of enabling infrastructure upgrades, and clarify ongoing funding responsibility as part of the Business Case process. The Tourism Demand Driver Investment Program is in its final year, but there is no certainty of what might replace it. There is no consultation established to gather input on reform and to refine State and Territory budgets and timelines to match it in time. Focus on enabling infrastructure with Local/State Government and peak industry sectors….not with private sector. Any funding should directly deliver on Tourism 2030 objectives. That the Commonwealth engage the STOs in planning the program, implementing and assessing. The new Program needs to be released to provide sufficient time to prepare matching budgets. The two main Destination Research topics that TRA propose to focus on in 2018 are Regional Dispersal and Future Technology Disruptors. Tourism strategies should interlink with TRA to produce most relevant data for future projects. 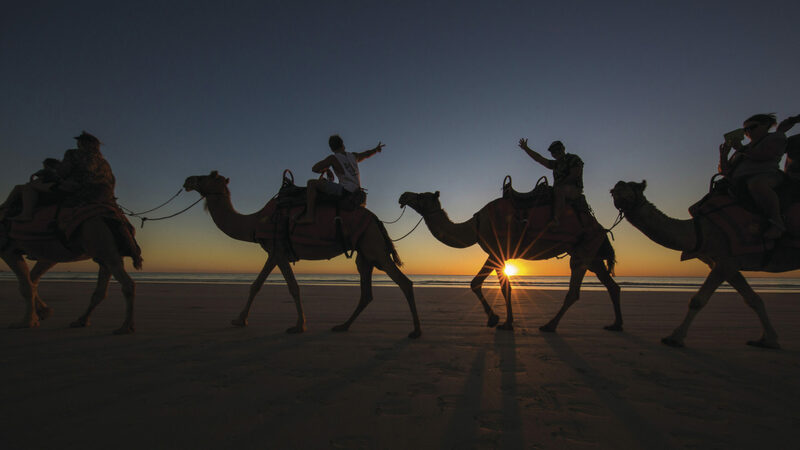 Reliable tourism data is an imperative resource or our industry. The National Visitor Survey and International Visitor Survey are not perfect, and sample sizes are often an issue. Nonetheless, this data provides trends and the ability to data mine that is highly valuable to our industry. Recently survey responses increased from 80,000-120,000 for the NVS and 20,000-40,000 to the IVS. Aggregation of data such as the LGA profiles is also highly valuable. We believe we are one of the few countries that has this level of data so this we should continue to lead. Minister Ciobo is reportedly considering removing or significantly downplaying funding for the NVS and IVS. It is acknowledged that these sources are less effective in regions where there is a smaller sample It is unlikely that sources like big data can replace key metrics needed for planning, preparing business cases and evaluating program effectiveness. Improved tourism data needs to be jointly resolved. The solution should be based around continuing with IVS and NVS and using other big data options to increase accuracy/robustness and intelligence. The big data options through the banking financial institutions have their limitations and there may have less applicability to regional tourism, which relies on less than 15 room establishments. The strong growth in international markets from Asia, and particularly China, is not transferring into regional dispersal overnight stays within the first visit. There is a risk that we do not do enough to convert first time Chinese and Asian visitors into repeat visitors that help with regional dispersal. Conduct market research to determine which segments of the China market are most likely to return and disperse into regions. Develop marketing to utilise the research findings and convert first time visitors into return overnight regional visitors. Agritourism is an ideal tourism sector to further develop regional tourism around. Agritourism provides social and economic benefits to the visitor economy and agricultural sectors. However, to date there has been no national coordination of agritourism development or marketing. Develop an Australian Agritourism Working Group of ART, STOs, Tourism Australia, and the National Farmers Association. ART to secure a small grant to undertake a Situation Analysis that identifies what has / is being done in agritourism across Australia, and what gaps appear to exist. The Working Group would prioritise responses to the gaps and form an Action Plan. ART to then approach Commonwealth Ministers, Austrade The States, Territories and Commonwealth to consider providing joint funding for addressing the Action Plan. The majority of funds would be sought from the Commonwealth’s Regional development Primary Industry portfolios, which would include funding for the activities and for overall project management, governance and evaluation. Restaurants/cafes – chef, cook and café/restaurant manager. experience (where positions remain unfilled), it is more likely they could result in reduced productivity, whereby the workers filling employment positions are not equipped with the skills, expertise and/or capability to perform their role. Diminished productivity has the potential to reduce the global competitiveness of Australia as a destination and reduce the visitor experience. Since attending a business event often provides internationals the first opportunity to visit Australia, a poor delegate experience may reduce repeat visitation (with family and friends) and the value of brand Australia. The Regional Education, Skills and Jobs initiative includes the Government employing local coordinators to develop and implement plans to improve participation in the workforce and educational achievement in regional Australia. However, this initiative does not have a tourism or visitor economy stream. The new Skilling Australia Fund (managed by the Commonwealth government) is only accessible through programs pitched by the States with matched funding. Therefore, they are the gatekeepers to delivering new tourism/hospitality training programs. What pragmatic initiatives could be developed that target the development of skills for regional visitor economies? Can skills programs be made more available to the operators of small tourism businesses in areas where they and their representative associations identify particular business-level skills deficits? Conduct a State by state review of historical and forecast tourism and events training places, eg. TAFEs and universities. STOs and ART to work together on input to the hospitality and events on the relevant short-term and medium to long-term strategic skills list under the federal government’s Temporary Skills Shortage (TSS) visa. ART to develop and seek investment in professional/career development programs, delivered through its Convention, or through training workshops distributed via a travelling roadshow.